When you’re behind the wheel of a luxury speedster, you expect nothing less than the best. With a potent powertrain, advanced technology, and a soothing interior, your sport car should comfort you as you fly past other vehicles on the roads of Stratham, Portsmouth, and Exeter. So, instead of opting for something that doesn’t offer the breathtaking performance you want most, choose the 2018 BMW 440i. When armed with this agile automobile, you’ll be soaring down the open highway in no time. Let’s dive into the details together with this 2018 BMW 440i review created by BMW of Stratham. After you’ve scoped out all the specifications, you’ll be ready to assault the asphalt as the driver of this expert machine. While you’re leading the pack down the streets of your town, it’s essential to be surrounded by upscale materials. How else can you fully relax during your ride to work? And inside the BMW 440i, you’ll discover all the comforting appointments you’ve ever dreamed of, such as SensaTec upholstery, wood trim, and chrome details. To keep your body supported, this sedan includes 4-way power lumbar cushioning and 10-way power front sport seats. That way, you’re sure to find the position that’s perfect for your unique proportions. On top of that, BMW ambient lighting comes standard in this vehicle and provides an array of colored hues that highlight the remarkable, architectural features of the cabin. With this gadget, you can easily customize your vehicle with your favorite color. When you’re the owner of a sports car, nothing’s more important than being supported by the industry’s most advanced technologies. Luckily, the 2018 BMW 440i comes packed with all the power you need to rocket past any curve in the road. Hiding underneath the sleek hood of this sedan lies a 3.0L turbo motor that churns out 320 horsepower and 330 lb-ft of torque. And when paired with the smooth 8-speed automatic transmission, your car will switch between gears without question. Plus, this transmission offers up the standard Driving Dynamics Control with a selection of ways to adapt your drive. With choices like Eco Pro, Comfort, Sport, Sport+, your BMW 440i will automatically adjust the powertrain to suit your mood. If you’re like most drivers, you’ve got to have plenty of entertainment and information options during long road trips. And situated on the center console of the 2018 BMW 440i, you’ll find a standard 6.5-inch touchscreen with access to tools like Bluetooth®, HD Radio™, SiriusXM®, and much more. That way, you can listen to any of your favorite tunes while soaking up the sites along your drive to your ski resort. With a vehicle this potent, it’s important to pay attention to everything ahead of you. That’s why this roadster comes supplied with an available head-up display. By projecting crucial information about your ride on your windshield at eye level, you’ll always be kept in the know without needing to move your gaze from the road.  At BMW of Stratham, we want to help you get your hands on the sports vehicle that goes above and beyond your expectations. And when equipped with the 2018 BMW 440i, you’ll never question your car’s ability to dominate every inch of your ride through Stratham, Portsmouth, and Exeter. Why wait around for this vehicle to fly away from our dealership? Visit our showroom or contact us online to learn about financing and lease offers today!